GPS - wide spot, 100m el. 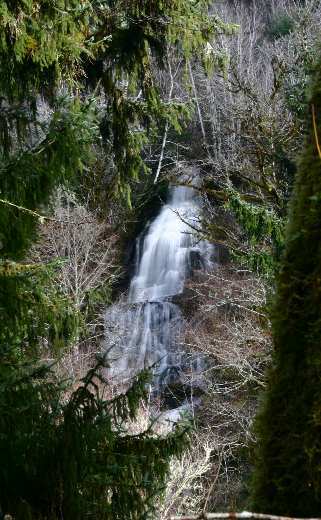 GPS - Wheelock Crk Falls, 80m el. 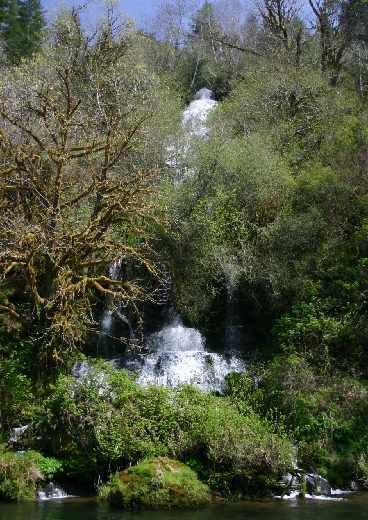 Wheelock Creek Falls is east of Waldport. 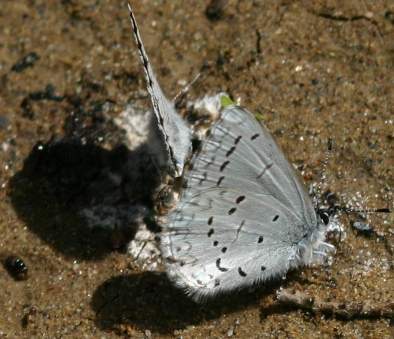 and splashes into Drift Creek. A large evergreen tree (natural umbrella) sits rooted on the bank. from motorized access. Access to this grand cataract shouldn't disappear - unlike some places. so just make sure you're walking upwards on the way back and you will find the main trail again. 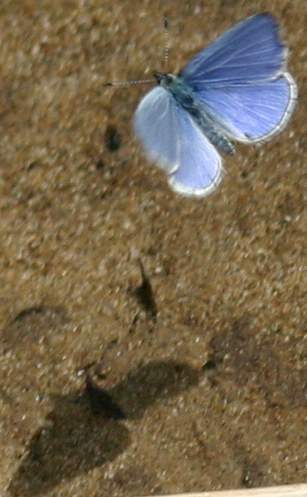 The in-flight picture was captured with the Spring Azure butterfly just a few inches off the ground. Its shadow is just below. and press the button to take a succession of pictures. Luck was instrumental for the in-flight picture.